The very existence of ticks provokes some difficult questions for those with a creationist world view. Why, for instance, do ticks even exist? They do no good and much that is evil. They live off the blood of other creatures and provide food for very few. Their skulking, scrabbling behaviour marks them out as ne-er-do-wells and indeed they are, transmitting a variety of diseases as they go about their business. Here in Canada, we have a number of species of ticks, but the one that gains most of our attention is Ixodes scapularis, the deer tick. Over the past 30 years, it has spread its range and increased in numbers, and is recognized to be the vector of many important diseases of humans, including Lyme Disease, Babesiosis, Ehrlichiosis and Powassan Virus. Within Canada, it now occurs commonly along the shores of Lake Erie and Lake Ontario, down the St. Lawrence Valley into Quebec and in a number of places in the Maritime provinces, particularly along the south shore of Nova Scotia. 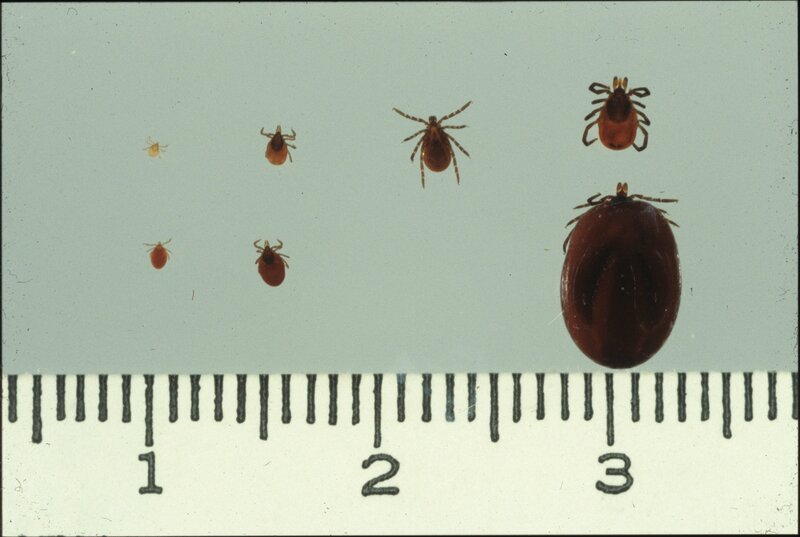 Like all ticks, the deer tick is an obligate parasite (insert your own cheap joke about which profession this most closely resembles); that is, it preys upon other creatures and requires a blood meal at each stage of its life in order to grow, mature to the next stage and eventually reproduce. It is a 3 host tick, meaning that each stage (larva, nymph and adult) feeds on a separate host, with a period of time in between spent in the environment to molt and mature, and from which it will go questing in search of a suitable host for the next stage in its life. The different life stages are active at different times of the year and will tend to feed on different species of hosts. Larvae, the infant ticks, feed late in the summer and then molt and rest until the following year, during which as adolescents (nymphs) they quest again and feed during late spring and early summer. After they molt to adults, they will again be active in the fall or following spring. The larvae tend to feed on small creatures such as mice and ground-feeding birds. Nymphs will also parasitize these types of hosts, but may also feed on larger hosts, such as foxes, raccoons, skunks, coyotes and people. The adults, requiring larger blood meals, favour larger hosts, particularly white-tailed deer, but they too will feed on people. The point of the tick’s existence is to make more ticks. They are, it seems, quite good at doing this and manage to do it without actually killing their hosts. 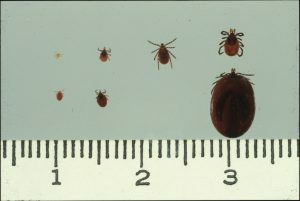 Depending upon the size of the host and the number of ticks that it supports, the blood loss due to feeding ticks may be significant, but not sufficient to kill their host. (The winter tick, a one-host tick that feeds primarily on moose, is a different story. In great numbers, they can be fatal to the moose.) Although deer ticks carry within them a number of pathogenic viruses and bacteria, these also do no harm to either the ticks or the birds, small and medium-sized mammals and deer upon which the tick feeds. The ticks, their hosts and the viruses and bacteria seem to co-exist in a one-sided but non-fatal relationship. Curiously, the life cycle of the ticks seems also designed to facilitate transmission of these disease agents, which seems most obliging, considering that it confers no obvious advantage to them. Nymphs, who may have acquired infections the previous year when feeding as larvae upon an infected host, will infect even more suitable hosts when they feed early in the summer. This increases the chances that the larvae, who will feed later in the summer, will themselves become infected. The final meal from a white-tailed deer is irrelevant to the disease transmission process; it just represents nutrients with which to produce and lay eggs. Although the cycling of disease agents through the wildlife population seems harmless enough in nature, it is a different story once people become involved. Unlike wildlife, we are quite susceptible to disease caused by these agents. Lyme Disease, caused by the bacterium Borrelia burgdorferi, carried by deer ticks, has become the most common vector transmitted disease in North America. Although rarely fatal, it is capable of causing significant and debilitating disease if not detected and treated. People are infected when fed upon by either an infected nymph or adult deer tick. The good news, if there is any in this story, is that the bacteria that cause Lyme Disease, are not necessarily present in each and every tick, and if they are, will be transmitted late in the feeding process. The ticks are slow feeders, a full meal taking up to 3 leisurely days, with the bacteria passing into the host during the final day. If the tick is found soon enough and removed, no transmission will take place. The catch is that while adult ticks are obvious enough, nymphal ticks, which can also transmit disease, are very small and inconspicuous and can be easily overlooked. Figure 2: Tick ranch in Nova Scotia. This is where the story, for me, becomes a bit personal. 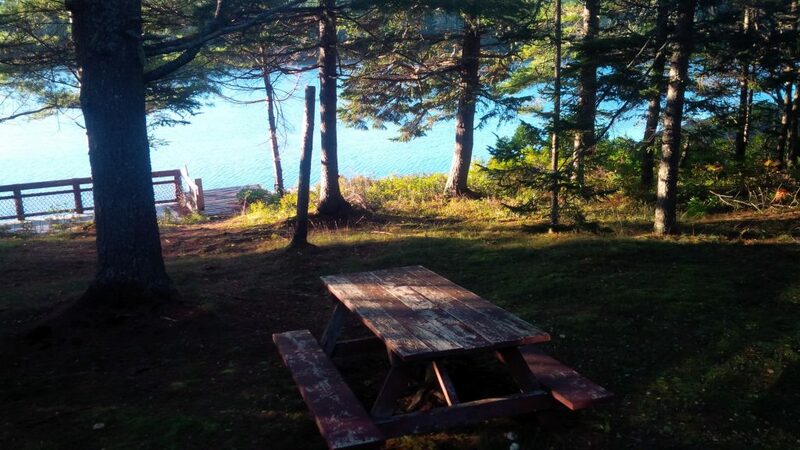 A few years ago, my wife and I bought an old cottage on the south shore of Nova Scotia. It’s in a beautiful wooded area, with lots of shrubby vegetation and lots of wildlife. You can’t go for an early morning walk without seeing deer. Does this sound idyllic? No – they’re all warning flags for the presence of deer ticks and Lyme Disease. Last summer I came back to work after a couple of weeks at the cottage in August and immediately developed the dreaded “flu-like illness”, which gradually transformed into something worse. After a couple of stays in hospital and a partial recovery, I got a diagnosis of Lyme Disease, despite not recalling a tick bite. Without delving too deeply into the question of personal hygiene and attention to detail, I never saw a tick on me, but I could easily have missed a nymphal tick, even an engorged one. This is why it is extremely important to be vigilant for ticks if you are living, working or playing in an area known to be infested with ticks. The first line of protection is clothing: long pants, long-sleeved shirts, even gaiters will help prevent ticks from gaining access to your body and will help you see them (if the clothing is pale coloured). Treating the clothing with an insect repellent such as DEET or Permethrin will also help. You can even buy clothing that has been pre-treated with one of these compounds. Even so, it is important to check yourself regularly for ticks. Nymphal ticks are small and inconspicuous, so you need to look carefully. Ticks also have a nasty habit of heading for the dark, quiet and hard to reach places (use your imagination), so it may be helpful to have the assistance of a very close friend or family member in looking for ticks. The opportunity to perform thorough tick checks on someone you’re close to is one of the few positive aspects of this situation. If you’re alone, you’ll need to work on your flexibility and make sure your eyeglass prescription is up to date. If you do find any ticks, you should remove them immediately. The best way is to grasp the tick with fine forceps (tweezers) as close to the skin as possible. Its mouthparts are embedded in your skin and you will need to pull it out, using a slow, steady pull without twisting, which could cause the mouthparts to break off. Don’t use your fat fingers, and under no circumstances should you follow the advice of “friends” who tell you to use a lighted match or heated needle to cause the tick to back out. It won’t work, and all that you will accomplish is to burn yourself and provide a few cheap laughs. Bitter experience long ago taught me the truth of this. If you do remove a tick, clean the area with alcohol and/or soap. Remember to gently release the tick back into the environment, as close as possible to where you found it. On second thought, it might be better to kill it or keep it in alcohol if you wish to have it identified or tested. Deer ticks are with us, and they’re here to stay. In fact, in time they will likely only extend their range further. They are quite cold-tolerant and should be able to survive in much of the more heavily-populated parts of Canada. So, we need to learn to live with them and how to protect ourselves from them. I confess that I’ve entertained fantasies of bombing the property with Agent Orange or some other defoliant, but in truth, taking some protective measures and doing regular checks for ticks is actually far more practical. Thank you for the informative and entertaining article on Lyme Disease. Despite regular tick checks, I was infected with Lyme Disease doing field work in Lyme, CT no less. Anyone enjoying outdoor time in tick country, be vigilant. Healing from Lyme Disease can be a long process. Thanks Kathy. It’s an entirely unpleasant disease and we wouldn’t wish it on anyone! Thanks for the informative and entertaining article! I will share it with my NSCC students here on the south shore of Nova Scotia.